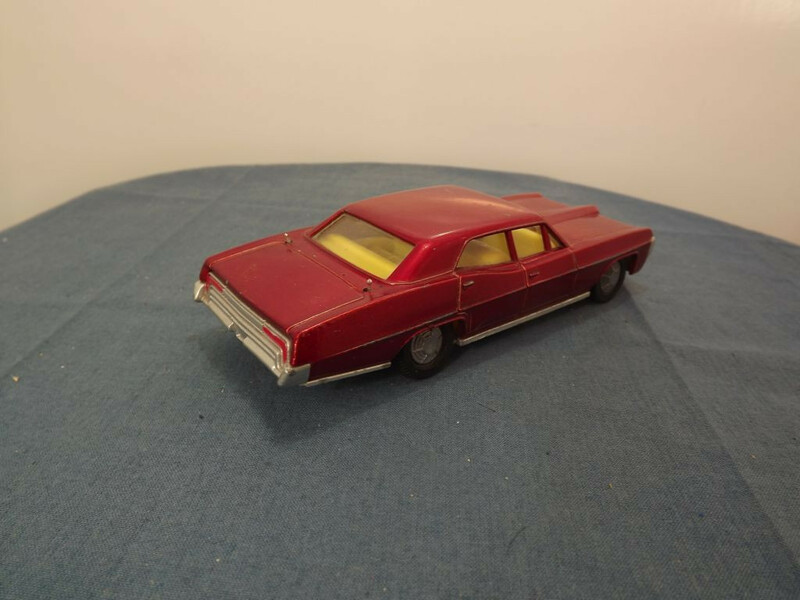 This model is the Dinky 173-H-2 Pontiac Parisienne in Metallic Maroon. The model has no opening parts. The only feature is the retractable rear aerials, operated by sliders on the base. The interior is yellow plastic with a black steering wheel set into the dashboard. 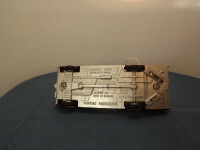 The grille, headlights and front bumper with number plate are silver painted and form part of the base, as does the rear bumper, number plate, and rear red lights. The glazing is clear all round with molded front windscreen wipers and rear view mirror. 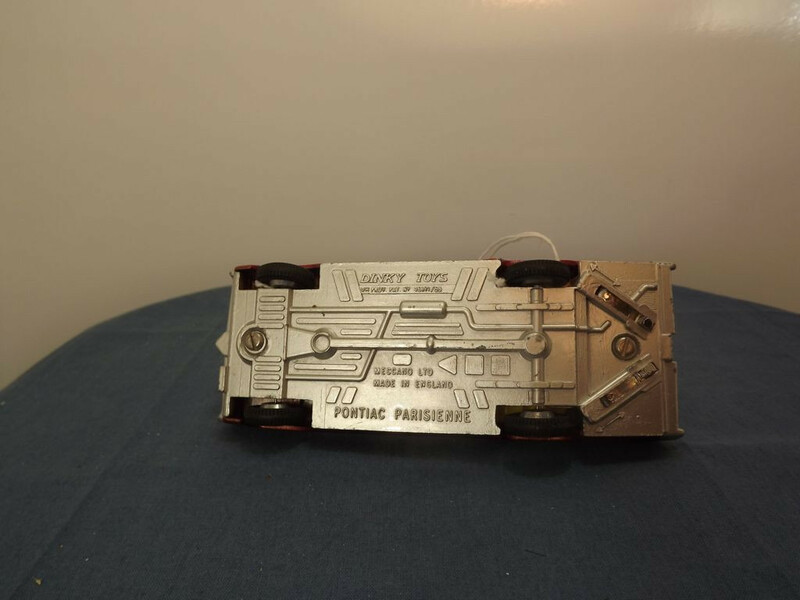 The baseplate is silver painted metal. At the centre top it reads "Dinky Toys, UK, Prov Pat, No46371/68" on two lines, at the centre middle below the driveshaft it reads "Meccano Ltd, Made in England" on two lines, followed by "Pontiac Parisienne" at teh centre bottom. There is also a crude representation of the driveshaft, exhaust system and suspension. It is held in place by two small self tapping screws, front and rear. All wheels are of a cast metal type - solid one piece 6 spoke metal hubs, with a separate black "rubber" tyre. 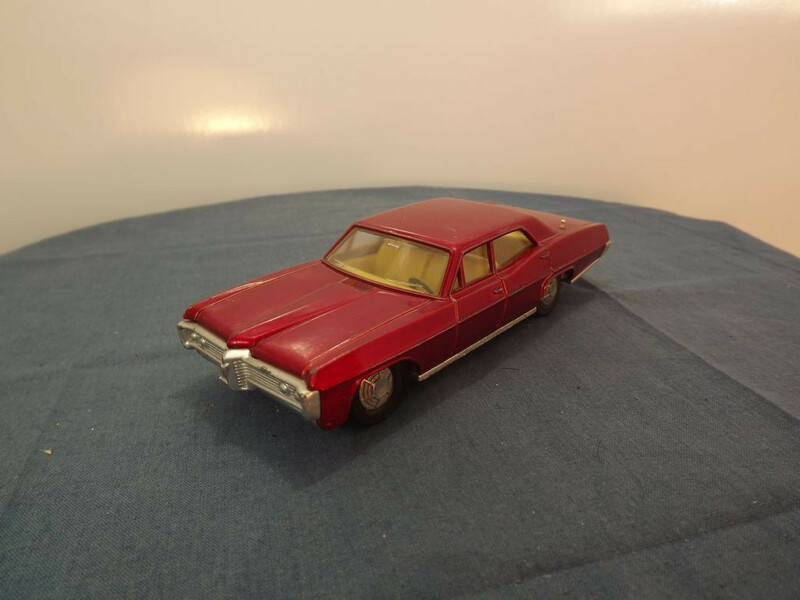 This model was issued between 1968 and 1973.